Laszlo is afraid of The Dark. He has bedside lights and torches to help him get through the night. During the day, he tries to confront his fear of the dark, but when night time comes, he's just as scared as always. Think about all the great "kids" movies out there, Monsters Inc, Toy Story etc. On one level they look like kids movies that parents take them to, but parents love going to them too. There is one level for the kids, and then another humour or deeper meaning level for the adults. I love Despicable Me and it is my favourite "kids" movie because of that. Back to The Dark. So here we have a book that has interesting pictures. As my class kids said, it looks like the pictures look really old but the book is brand new. Pictures...nailed it. The story needs to be interesting to the kids...hmmm...while I think the kids were engaged with the story and they were waiting to see what The Dark was, I not sure it has a lot of re-readability to it. My favourite part, the deeper meaning (I'm such a teacher), is very good. It has a meaning that all kids can relate to. As kids (even adults! ), we've all been afraid of the dark. We have different coping mechanisms and as we get old, we either deal with it completely or we pretend to the kids we aren't afraid of anything! 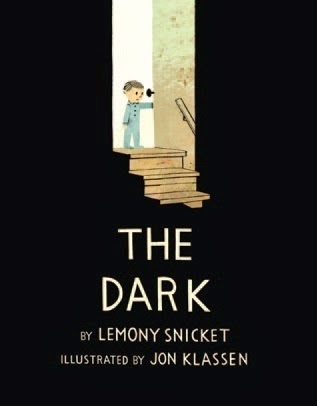 So is The Dark by Lemony Snicket going to be a classic? No, but for a teacher geek like me, it is a winner. 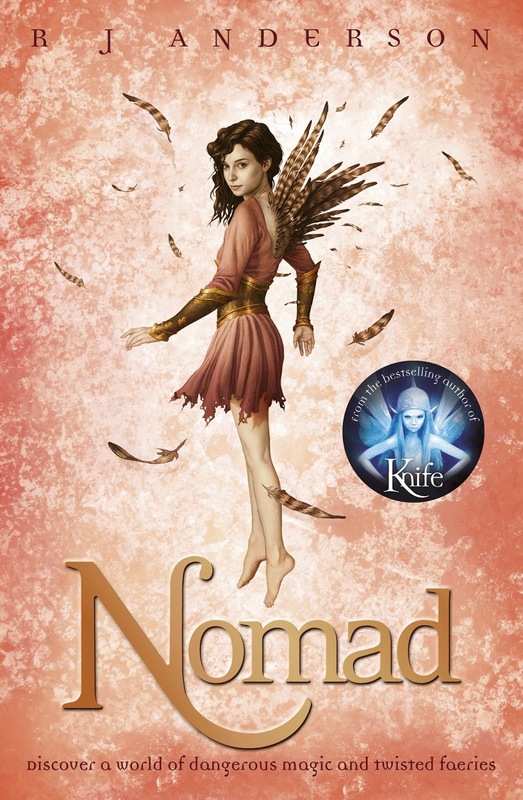 When you first see the cover of Nomad or hear that it is about fairies, you would immediately think, ‘Oh, I’m not going to bother reading books about fairies.’ That thinking would be wrong. There is more to Nomad than meets the eye and is a book that I think is very good. Nomad is about faeries, piskeys and spriggans. Ivy, the main character in the book, is a piskey. When she is exiled from her poisonous underground home by the jealous Betony, she has to make a new life above ground. When Ivy’s mother gets hurt, she has to find somebody to heal her. Before it’s too late. If you haven’t read the first book in the series, Swift, at first you may not understand Nomad. It is a bit confusing at the start and you don’t know exactly where you are. The plot takes a little while to take shape, but once it does, you will find yourselves wrapped up in a twist of fantasy and real life. Ivy is an amazingly believable and well written character. Her thoughts make sense in her mind and her actions do too. Ivy is mature for her age, but not too mature, she is also brave, stubborn but loyal and a delight to read. R J Anderson conveys deep emotion to us in the book but the characters hide their feelings from each other very well. This book also has a bit of a romance. I would definitely recommend Nomad and I would recommend it to people aged 10 and older. If you had to go on a mission to find your family's jewels, would you? Ruby Redfort who just found out she is a spy for a company called Spectrum. Her mum is always boasting about the family jewels that got lost at sea around the Sibling Islands. The water around the islands is rough and no boats can get to it. It is only calm once a year when a particular asteroid appears in the sky. In the water there are strange happenings. Mobs of sharks attack people for no reason and dolphins try to knock over boats. Ruby swims to the island to see what's happening and finds someone else is on the island too. I think Ruby Redfort has a very strong personality. Phrases she often uses are 'Hang in there', 'I'll be there in five', 'Buster' and 'Bozo'. She always wears T-shirts that display her attitude like 'excuse me while I yawn'. Ruby is a risk taker - if there is something she wants to do she will go and do it without any hesitation. For example, she went through an underwater tunnel with no oxygen. 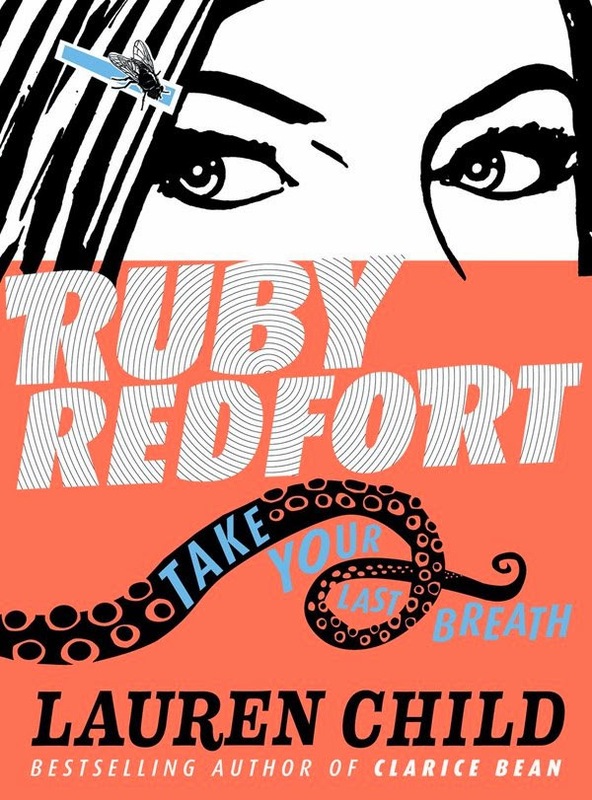 Ruby Redfort was written because in Lauren Child's first series of books for older readers, Clarice Bean, was obsessed with all things Ruby Redfort (Ruby hair slides, yellow notebooks, and diaries). At first Ruby Redfort wasn't even supposed to be a real series but all of Lauren Child's fans were emailing her and asking if she could write a series about Ruby. When Lauren writes about Ruby getting her own way it's because Lauren was a middle child and she didn't get her own way. I'm glad she did as I liked everything about the story and especially Ruby's strong personality. I think the book is a little similiar to other series like EJ12 and H.I.V.E because they are all about spies and villains and all the gadgets that they use. I think the message of the book is to trust your own instincts, which is a great message for kids. The only complaint I have is that I wished the book was less fat and taller, so it is easier to hold. Vashti is a girl who cannot draw, but when her teacher insists that she draws something, she slams her felt-tipped pen into the paper in defiance. 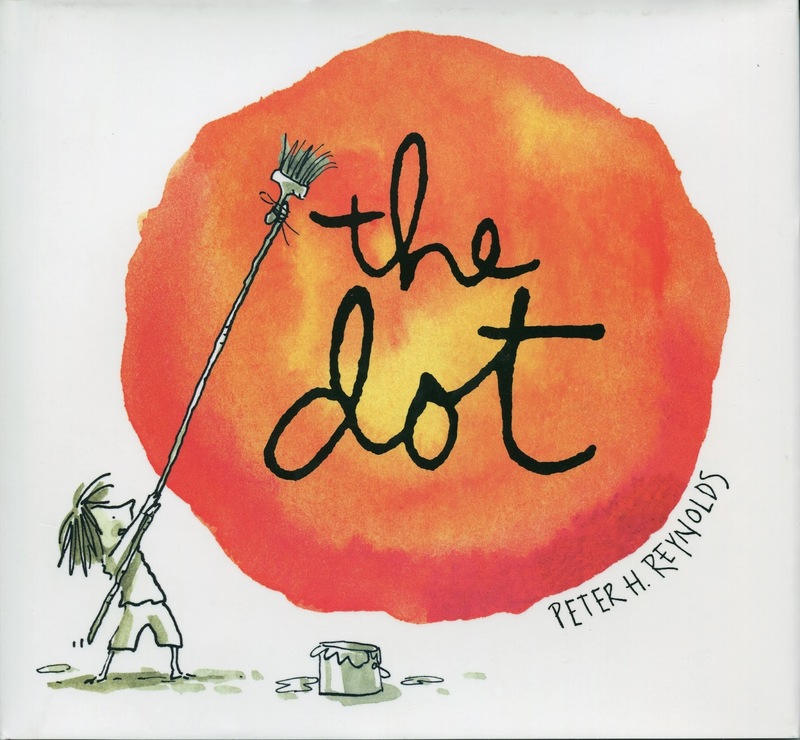 Her teacher calmly asks her to sign "The Dot". The following week, Vashti's "art" is framed and hanging off the wall. Vashti is at a crossroad. There are many kids books which are like this. It is a story about inspiration, that great things start out as small things, that you can usually do what you "think" you can't do. As a teacher, I am always finding different ways to inspire children to believe in themselves, to push themselves harder. Sometimes I do this with a joke, a pat on the head or lavishing words of praise on quality work. This little story of Vashti is predictable (to us adults) but it is quirky and brilliant in its simplicity. The ending of this book is exactly what every teacher wants of their student.